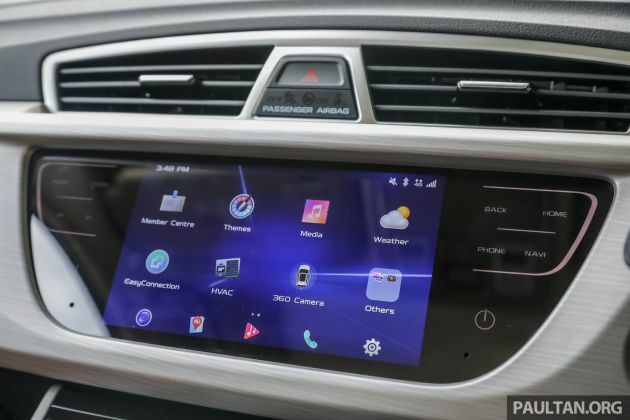 On March 26, 2019, Geely celebrated the third launch anniversary of its flagship SUV, the Geely Boyue. Now, Malaysians are no stranger to the Boyue – the C-segment SUV is known as the Proton X70, and since its launch in December 2018, demand for Proton’s first ever SUV skyrocketed to over 20,000 units. In the grander scheme of things, the Boyue, together with the X70, have reached a record total sale of over 700,000 units. In the three short years since its debut, the Boyue has already undergone a facelift, which saw the introduction of the advanced Global Key User Interface (GKUI) system. But according to Geely, we have yet to see its final form, and that alone suggests that there would be more to come. As with the case of the Boyue, Geely made sure its design, which was conceptualised by senior vice president of design Peter Horbury, would meet the expectations of its target customers. The Boyue must also fit well with young professionals who are not just interested in aesthetics and quality, but in this day and age, they are obsessed with being connected. Hence, GKUI. Despite being produced and sold largely in China, the Boyue has global aspirations. Recently, the SUV was part of an epic endurance tour, where it was driven for approximately 18,000 km from its Baoji factory in China, all across Russia, Germany and France, before reaching its destination in the United Kingdom. Furthermore, the Boyue was used as a support vehicle for the Geely team at the Dakar rally, which saw it tackle the unpredictably treacherous terrains of South America. In Malaysia, the Proton X70 was also used as the official car, safety car and medical car for the 2019 Malaysia Speed Festival (MSF). Let’s not forget, the Malaysia-China Amazing Trip convoy comprising nine X70s is currently making its way back to Kuala Lumpur after driving some 7,000 km to Hangzhou, China. So, in the short span of three years, the Geely Boyue/Proton X70 have definitely come a long way. Geely said while other models may make do with just a simple facelift, the Boyue will be constantly improved upon and adapted to suit the ever-changing preferences of modern consumers. “For now, let’s just say, we have not yet seen the end of this icon,” it said in a statement. The same statement also said the Proton X70 is the first in a long line of vehicles from Geely that will help revive the Malaysian brand and take it beyond its own domestic borders. 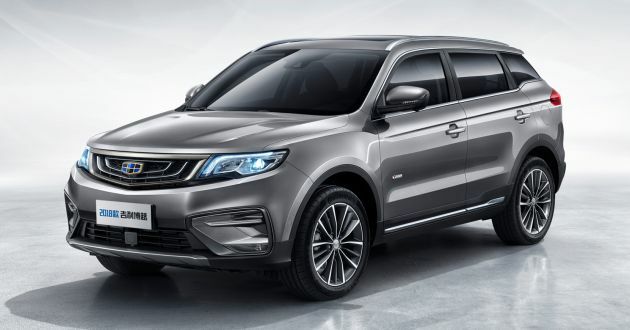 While export plans have yet to be thoroughly detailed, Malaysians can look forward to receiving the Geely Binyue SUV, as well as the new seven-seat Jiaji MPV. What are your thoughts, guys? The post Geely Boyue turns three, but is far from its final form appeared first on Paul Tan's Automotive News. 0 Response to "Geely Boyue turns three, but is far from its final form"